I'm stuck in Kansas and HATE IT HERE! 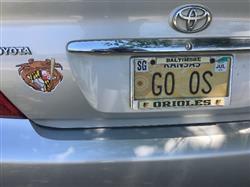 This sticker reminds me of all my favorite Maryland things and brings me joy when I'm stuck in Wheat Country (****). Proudly displaying on my car and is everything I could have asked for! Love Route One!